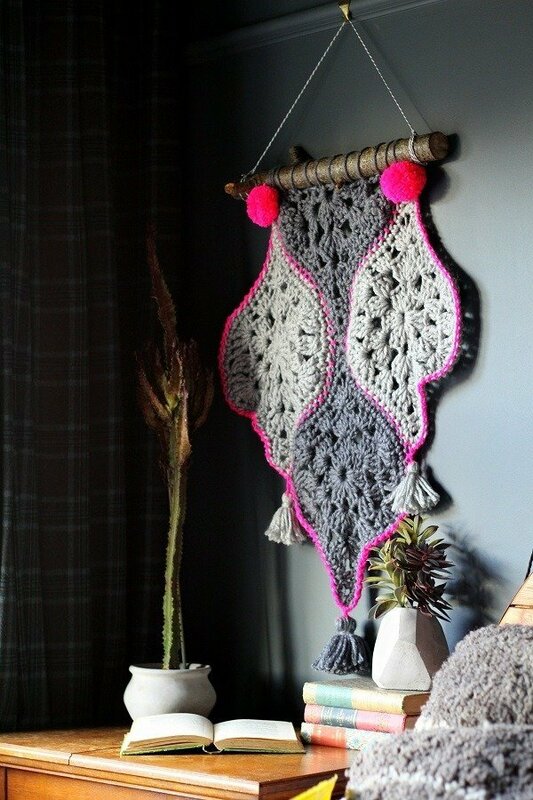 Have you seen all the wonderful crochet wall hanging decorations that seem to be everywhere at the moment? 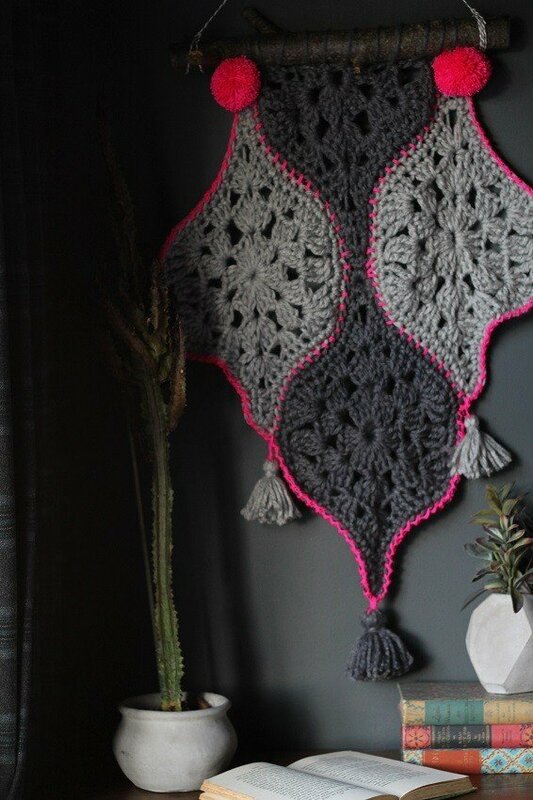 This is my chunky crochet version. I made it in one day, would you like to see how? A crochet motif pattern. 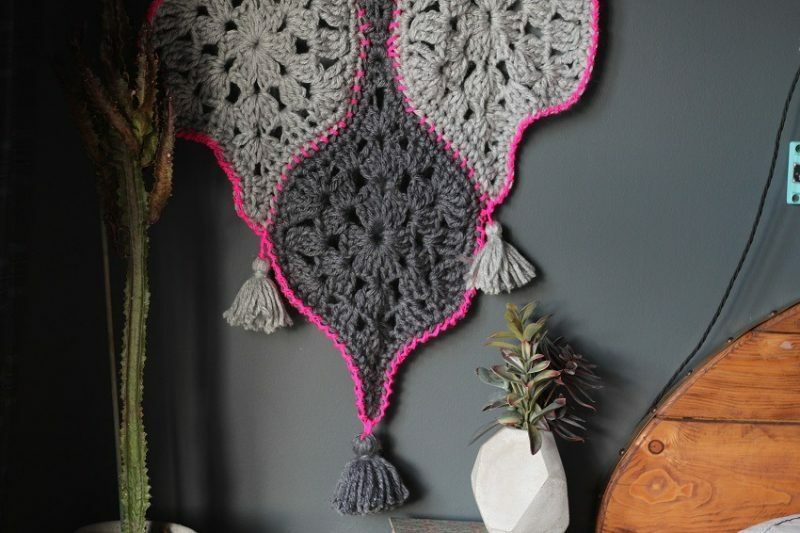 You could just whip up a good old granny, but for an interesting crochet wall hanging use one that fits together well or ‘tessellates’. I used Jane Crowfoots Mystical lanterns pattern. Some chunky scraps of wool. A 12mm crochet hook, or the correct size for the yarn you choose to use. Something to hang it from, I used a branch from the log pile, you could use bamboo stick or even a wire coat hanger? 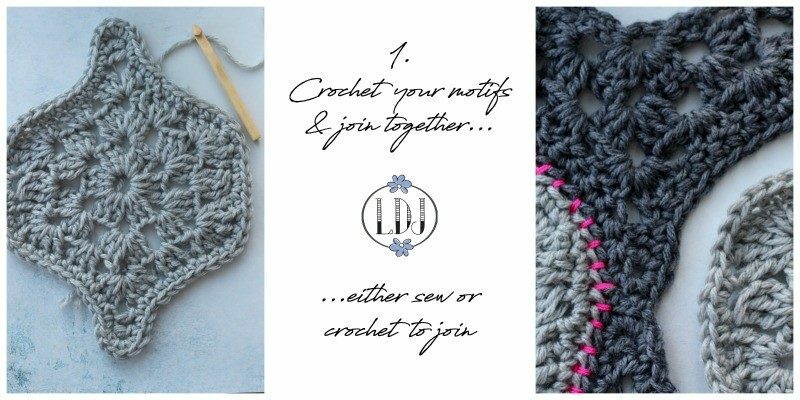 Top tip!… you can easily make tassels by hand too. 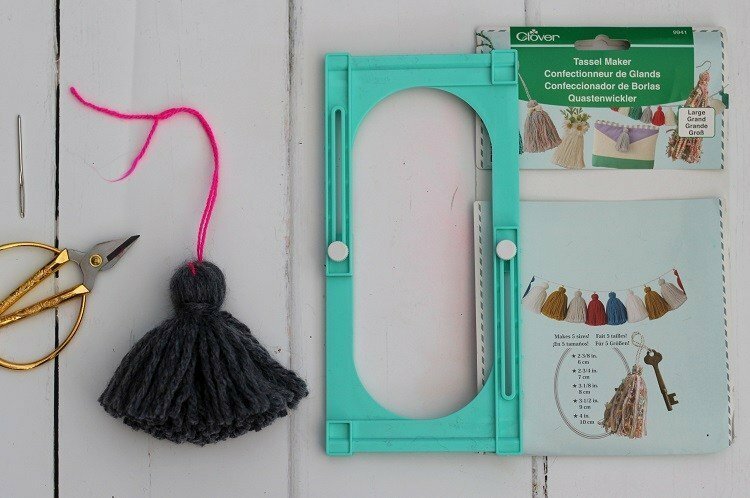 I have a step by step tutorial if you dont have a tassel maker yet? Its very easy take a look? When you have decided on your pattern motif. Decide how many you are going to use and in what colour. As usual keep it simple, perhaps just three colours? It might help to make a quick sketch too. Next sew in all your ends and thread up the tapestry needle with your chosen thread. Then simply oversew to the branch/stick picking up the work as you go. Its wrapping with thread, dont worry about being neat it adds to the handmade charm? Ready to add some pom poms and tassels? Of course you are it’s the best bit right? What do you think? I used these colours to use up some yarn scraps, you could use soft pastels or black and white, the sky’s the limit if you let your imagination run wild right? Have you signed up to receive my latest blog posts straight to your email yet? form below…. Hi Tamsyn,so pleased you like it! 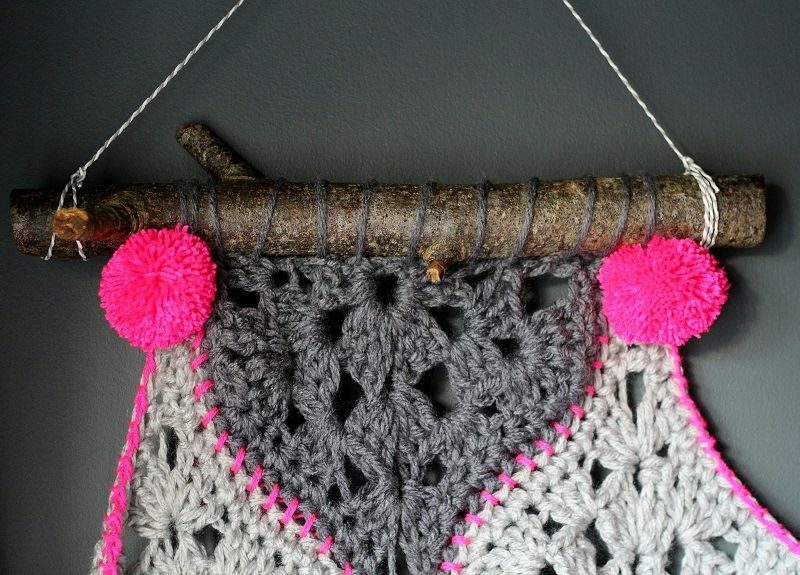 It’s stunning, what a wonderful DIY – you are such a creative lady! Thank you Natasha, will do ! Thank you Sue you too! Next time your here, you will have to show me how to crochet! I bought the grandaughter a pom pom maker at Christmas and couldn’t even get the hang of that!